Kosovo Thanks You – Page 3 – Thank you from the Kosovar people! Happy 100th Anniversary of the Independence of Albania! Wishing all Albanians, wherever they are, the best for this day. May the next 100 years be bright and good for everyone. We have recently received a number of emails informing us that Burundi has recognized Kosovo. We want to assure you we are aware of the recent events and do our best to be on top of what is happening. We want to use these recent recognitions as an opportunity to highlight the lack of coordination and communication between Kosovo institutions. We are in no way undermining or belittling the work of anyone involved in securing these recognitions, including the Deputy Prime Minister Behgjet Pacolli. We greatly appreciate the work being done in this regard. But, clear weaknesses remain. Recognitions are being communicated in an uncoordinated and untimely manner. They are announced in an unstructured way and sometimes without clarity. We are taking this opportunity to request that the Kosovar institutions get serious about working on this together. This means coordinating the announcements, but also giving credit where credit is due. Confirming recognitions with one month delay, having countries missing from the official list, removing countries without giving proper reasons, are not signs of seriously run institutions. We request that the Ministry of Foreign Affairs take a structured and coordinated approach to announcing recognitions. Being transparent when mistakes happen, they happen and it is human for them to happen. No big deal. It is easy to do if there is will to do so. We want to reassure everyone that the team running this web site belongs to no political structure, party or affiliation. The team sympathisesÂ with no such entities. We are a completely apolitical group of people that are doing this for the good of the State. Our position is completely neutral in that regard. All we are asking is that the work be done properly and in a coordinated manner. The people and citizens of Kosovo deserve this, we hope that the Kosovar institutions can deliver this minimum. The Ministry of Foreign Affairs of Republic of Kosovo today confirmed that Papua New Guinea has recognized Kosovo as an independent state. 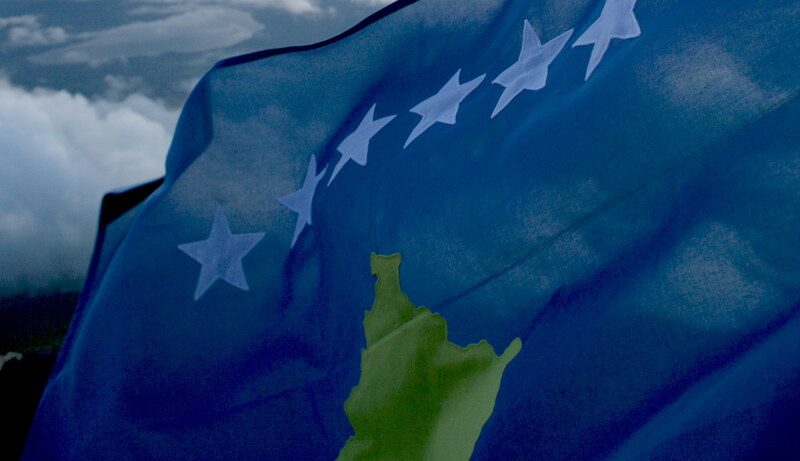 Papua New Guinea becomes the 92 UN Member state to recognize Kosovo. Earlier media reports of this recognition remained unconfirmed. The recognition has been communicated at the United Nations in New York at the meeting between the Papua New Guinean and Kosovar delegations. We thank the people of Papua New Guinea for their friendship and acceptance. Update 3: The Deputy Prime Minister of Kosovo, Mr Behgjet Pacolli, has declared that Mali has not recognized Kosovo. Pacolli explains the situation as having arisen from internal problems in Mali. Update 2: Kosovo Media citing the Global Times are reporting that the news about Mali’s recognition of Kosovo has been refuted by the Republic Mali. KosovoThanksYou.com urges the Ministry of Foreign Affairs of Kosovo to provide an explanation about the prompt addition of Mali on the list of countries that recognize Kosovo. Update 1: The Ministry of Foreign Affairs of Republic of Kosovo has not yet confirmed the recognition of Kosovo by Mali. The earlier acknowledgement of this recognition, listed on the web site of the Kosovar Ministry of Foreign Affairs, has been removed. The Ministry of Foreign Affairs of Republic of Kosovo has not released any other communique on this subject. We call on the Ministry of Foreign Affairs to clarify the status of this recognition. The recognition announced by the Deputy Prime Minister Behgjet Pacolli last week, has been acknowledged by the Kosovo Ministry of Foreign Affairs. The Republic of Mali has been listed as having recognized Kosovo. The Ministry of Foreign Affairs of Republic of Kosovo has not released any official communication on this recognition. Mali becomes the 92nd UN Member State to recognize the Republic of Kosovo. We would like to thank wholeheartedly the people of Mali for their offer of friendship and understanding. Sometimes we need to take a moment and think about all that has happened since February 17th 2008. In about half a year, Kosovo will be 5 years old. During this time, 91 countries have recognized our home country and many have accepted our existence by not ignoring or preventing Kosovars from using their passports. These are big deeds. Deeds of friendship and acceptance, deeds that show human values and justice. We want to take a moment and thank all those countries, people, nations, governments and oppositions, monarchs and decision makers, for it is because of you that we can today say “we exist”. Your acceptance has gone beyond senseless boundaries and have embraced friendship and openness. Without it we would not be. It is your acceptance that gives hope to 2 million citizens of the Kosovar Republic that even if we are far from perfect, have a long way to go, need to build a sensible society that gives birth a sensible governance, are struggling to understand and give roots to Rule of Law, that some day we will make it. We will probably not meet in the halls of the General Assembly in New York while the Veto remains a tool of politics, we will probably not meet in the Olympic games of Rio 2016 while the International Olympics Committee is willing to bend over to politics, and we will definitely not meet each other playing the Beautiful game while UEFA and FIFA show no backbone to politics. Nevertheless, the above matter not. What matters is, that today at least, there are 91 countries that say “Kosovo exists”. And for this we want to thank each and every one of you. Thank you for accepting us, thank you for supporting us, and thank you for recognizing us.